Amado Balneg is an Abreño with disability (PWD) art exhibitor for the Rambak Ti Kappia 2018. A native of Tayum, Balneg’s hands were amputated after suffering severe burns when he was 15. That did not stop him. He fought on. He is a self taught artist and his works enabled him to join various art exhibits. Balneg said that he feels glad having the opportunity to exhibit his masterpieces during the span of the Rambak Ti Kappia 2018. “Sa mga kagaya naming persons with disabilities, dapat ipakita nila na kaya din nilang gumawa ng ganitong mga bagay maski mayroon silang kapansanan,” Mr. Balneg said. Another PWD exhibitor is Mr. Jerry T. Tubig, an employee of the Provincial Government of Abra. 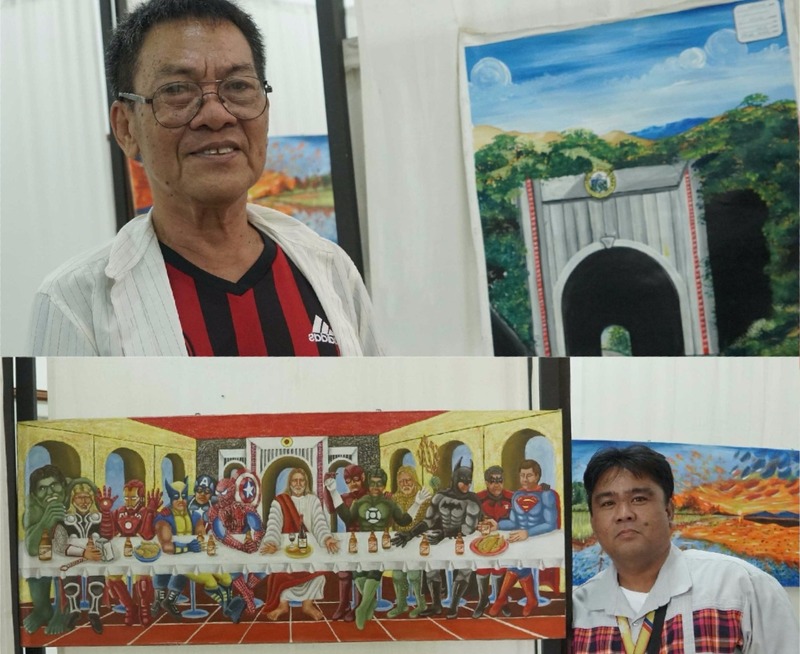 In 2009, he saw Mr. Amado Balneg’s artworks and asked himself, “Apay a kaya na met gayam ket awan pay ima na, siak nga adda ima na, haan ko ngata a kaya?” he said. [“If he who is armless can do it, why can’t I who have arms do the same?”] Later on, he decided to hone his talent under his “master”, Amado Balneg himself.